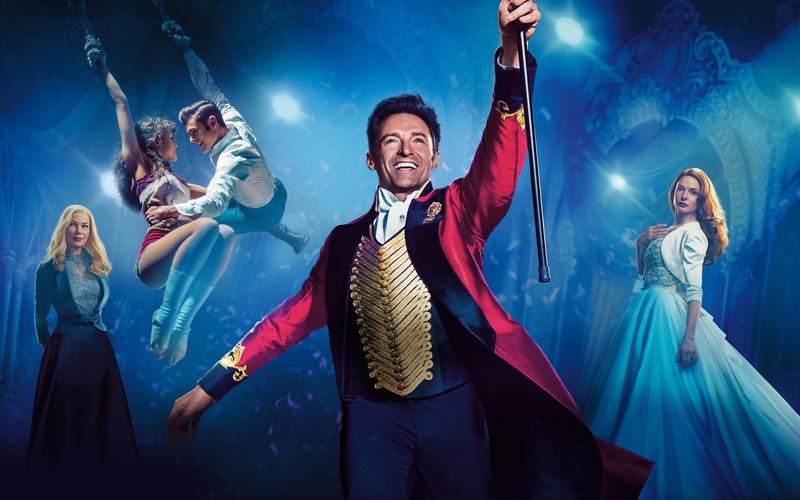 HOLLYWOOD SPY: PREMIUM SPOTLIGHT ON HUGH JACKMAN'S 'THE GREATEST SHOWMAN' MUSICAL WITH ZAC EFRON, MICHELLE WILLIAMS! CHARACTER POSTERS AND SONGS! 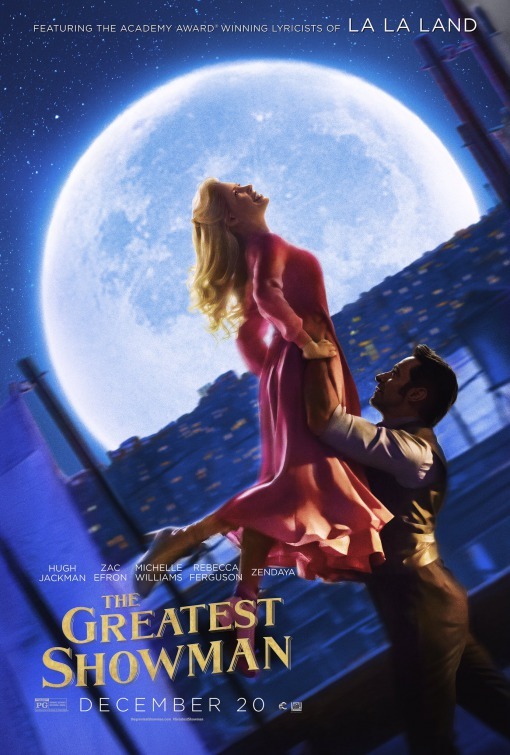 PREMIUM SPOTLIGHT ON HUGH JACKMAN'S 'THE GREATEST SHOWMAN' MUSICAL WITH ZAC EFRON, MICHELLE WILLIAMS! CHARACTER POSTERS AND SONGS! ON EARTH IS HUGH JACKMAN! turning it into a musical. The film took seven years in production because it is one of the first original musicals in many years and the studio deemed it too risky. Most other musical films included popular songs as well. circus continued its work for more than a century with the last show held this May in USA. 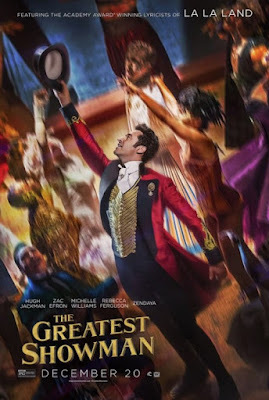 He gave work and opportunity to people who were often considered 'freaks' by the society and would have probably ended up as outcasts but P. T. Barnum gave them fame, money and a chance to travel the world and became famous. It is a bold and original musical that celebrates the birth of show business and the sense of wonder we feel when dreams come to life. 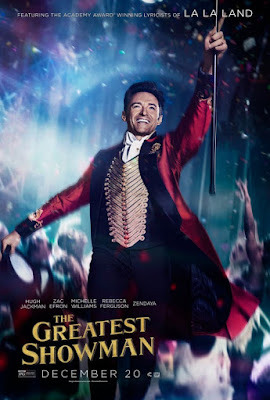 This is only second musical for Hugh Jackman! Academy Award winners Benj Pasek and Justin Paul! When the first trailer was released earlier this summer many people were captivated by This Is Me song that was used in it. You can check it out below and you can also find it on the movie soundtrack which will come out before the film at the beginning of December. Michelle Williams, who plays P. T. Barnum's wife, and Zac Efron, who plays his young business partner, also sing in it. Rebecca Ferguson, who is herself Swedish and has graduated from music school, plays Swedish Opera singer Jenny Lind! 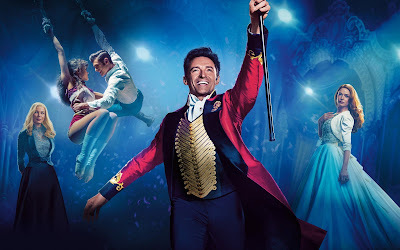 This is Hugh's second musical after Les Miserables, but he was the original choice for legedary Moulin Rouge together with Catherine Zeta Jones before the roles went to Ewan McGregor and Nicole Kidman. I can't wait to see this one. Everything about it looks great! From the story line to the music, I think this will be one of my favorites of the year. So beautiful! I don't think they could have picked a better song for the film. 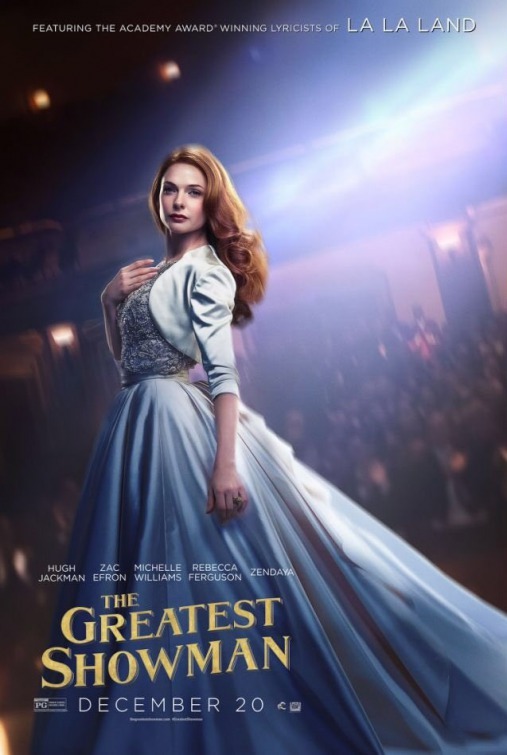 Looks like a bit of revisionist interpretation goes on in this movie to read 21st century attitudes about "difference" back into 19th century times, but still, I'll go see this! Wow, that looks so good. The music sounds fantastic too. Guess I'll have to be on the lookout for this one. Might be a DVD I'll have to add to my collection. 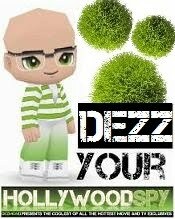 Loved this film. I have watched it repeatedly since having bought the DVD in September 2018. Yes! Me too! I didn't know that much about the film during the Oscars last year, but after the fact I was contemptuous of the Academy's decision which reconfirmed for me that they have some kind of agenda beyond picking actual best films. Maybe the film was too positive and uplifting for them. And making Angie slide right out of her knickers in the process... I here ya.